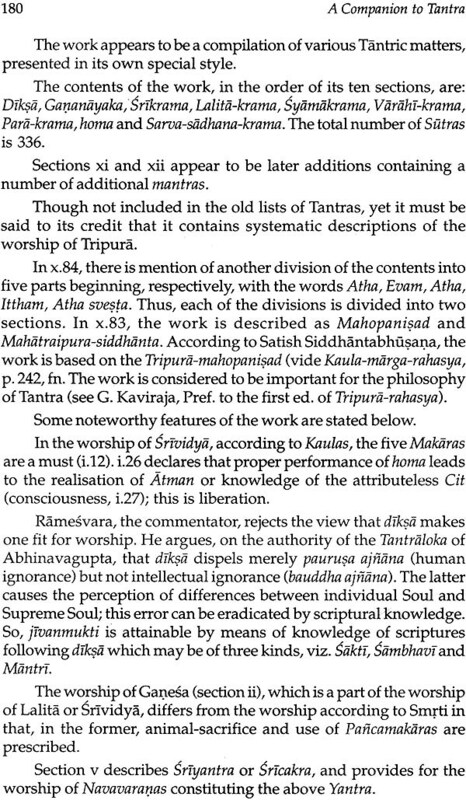 Tantra is a distinct philosophical system. Many feel eager to know about it, but few love the time and energy to understand. 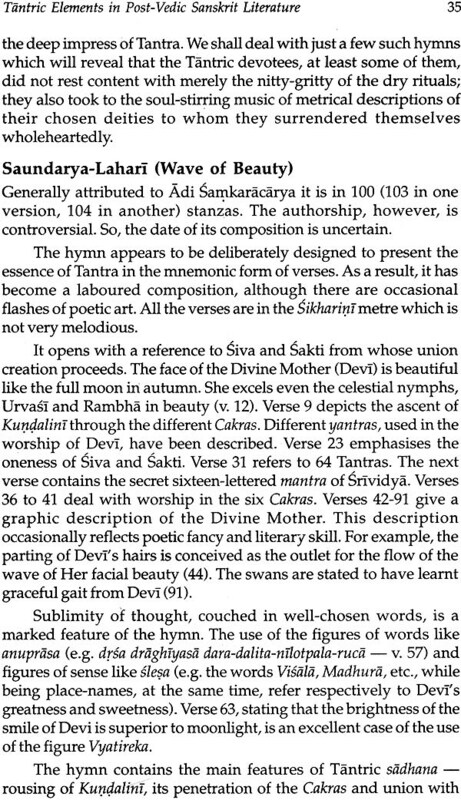 The intricacies of Tantra. So, a short-cut is necessary. 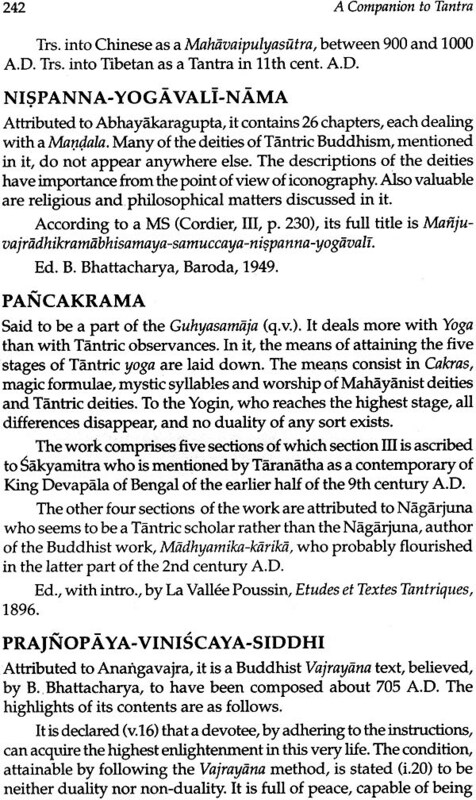 In the present work, an attempt has been made to set forth the highlights of the Tantra works and their authors. 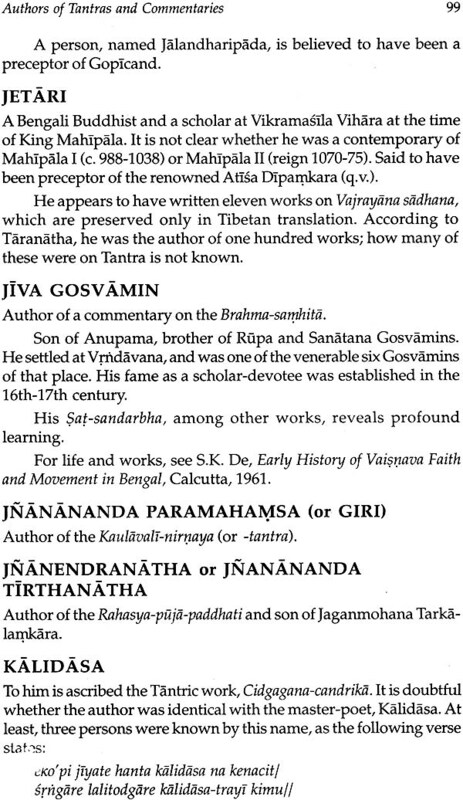 A bibliography, intended to help further reading, has been added. 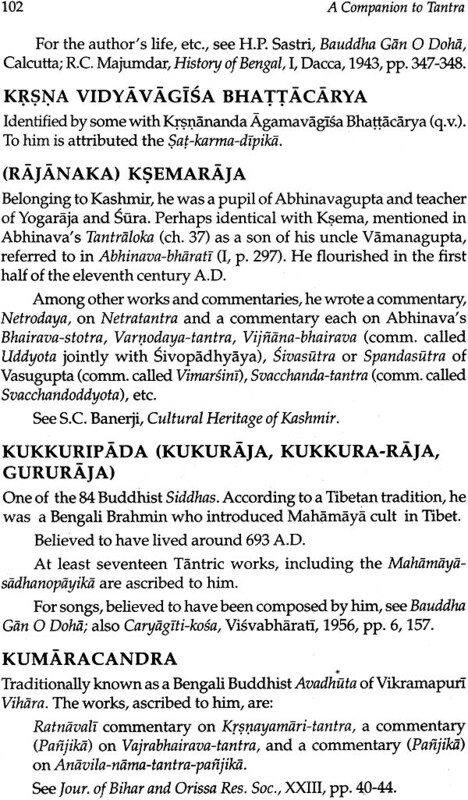 The author, a lifelong researcher in Sanskrit, has been a teacher of the subject. He has some 60 works to his credit. 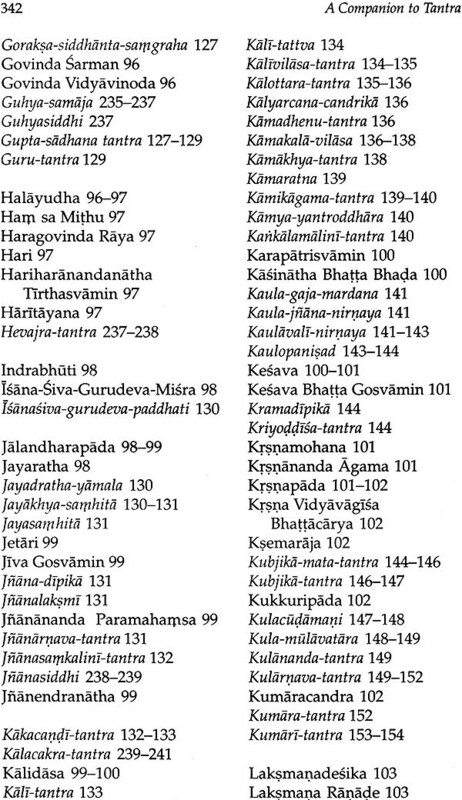 His only aim is to propogate Sanskrit learning. 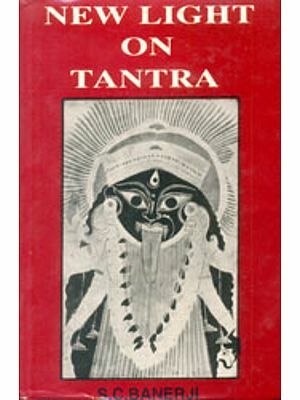 Tantra had a different approach to life and salvation. 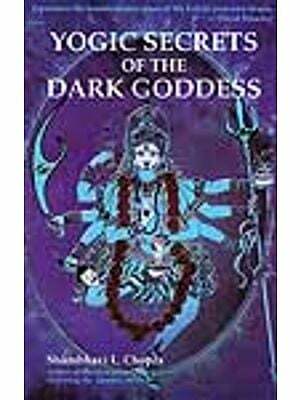 It sought to show the way to liberation here in life not by denial of worldly pleasures. 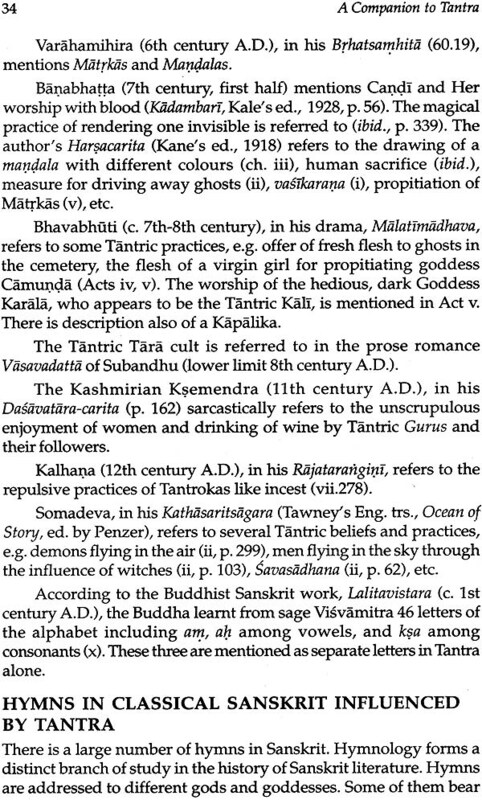 For the followers of Tantra, the body was the microcosm and was to be kept fit for Tantric devotion. 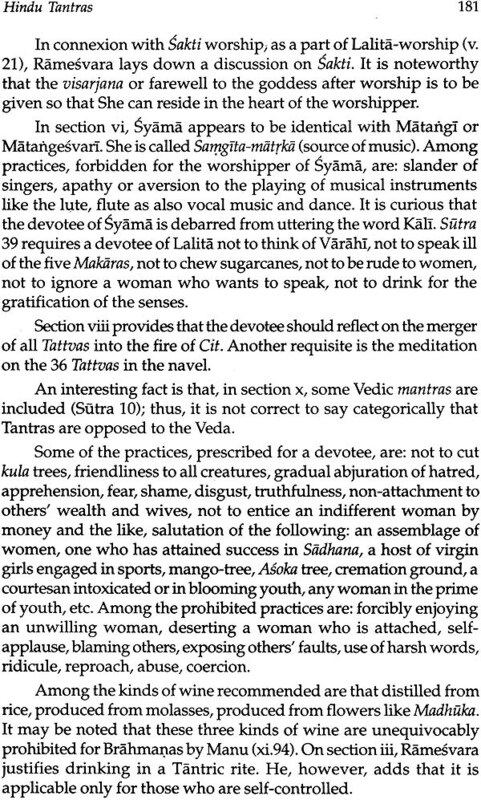 Women and Sudras were given by Tantra many facilities for religious practices. The rigours of caste-system were considerably relaxed. 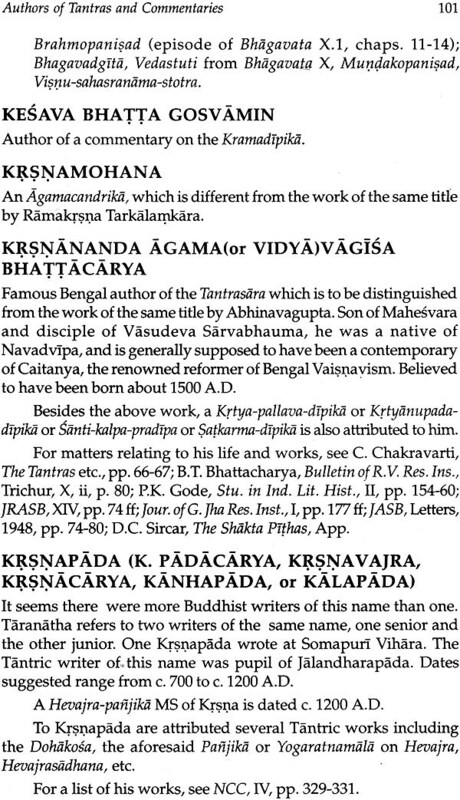 The acquisition of virtues was considered more important than the accident of birth. 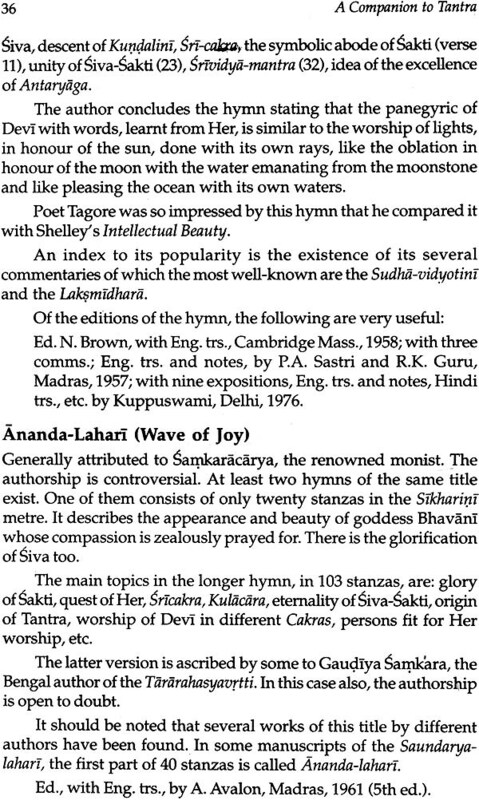 In the modern society of India, the traditional scriptural injunctions are yielding place to rational thinking. 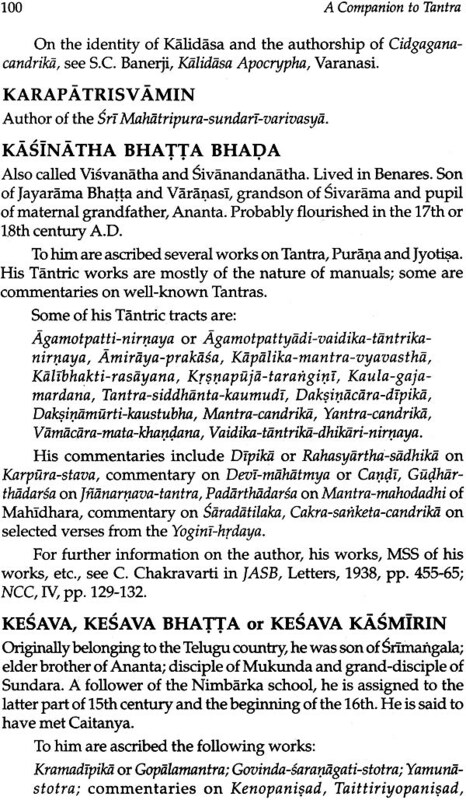 Those, who do not know much of Tantra, are vociferously decrying ancient Indian values categorically. 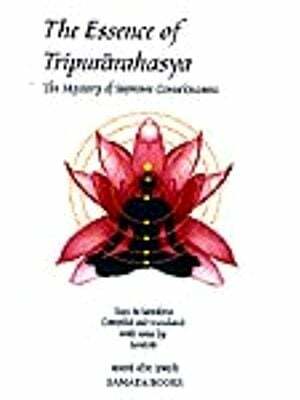 For reforming the society in keeping with modern ideas, the Tantra-sastra should be cultivated. 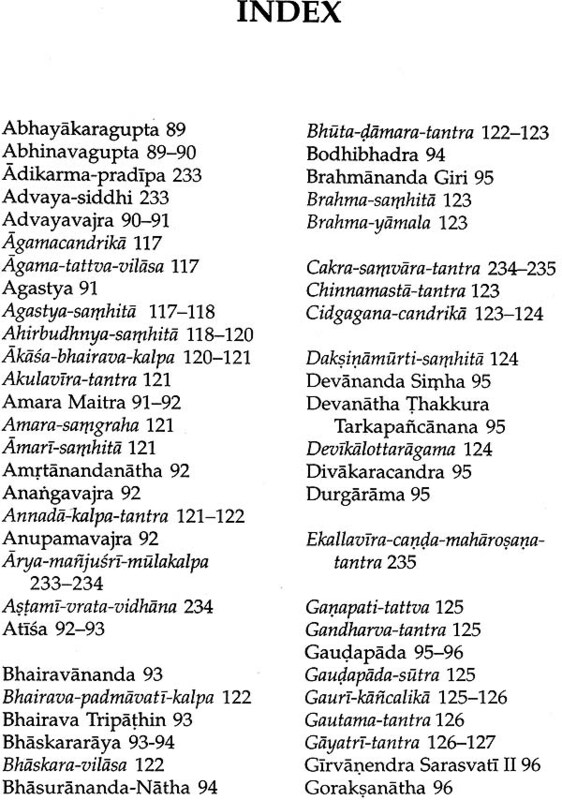 But, in the busy life of today, with tension and turmoil, it is not possible for one to delve deep into Tantra. 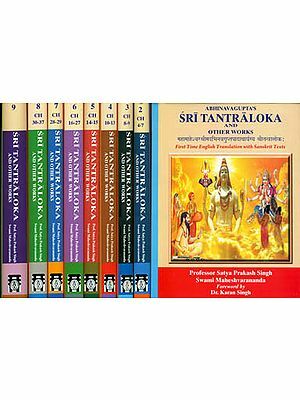 The present work is designed to give, in a succinct form, the reader an idea about the highlights of Tantra. In the introduction, we have briefly dealt with the important matters relating to this literature. 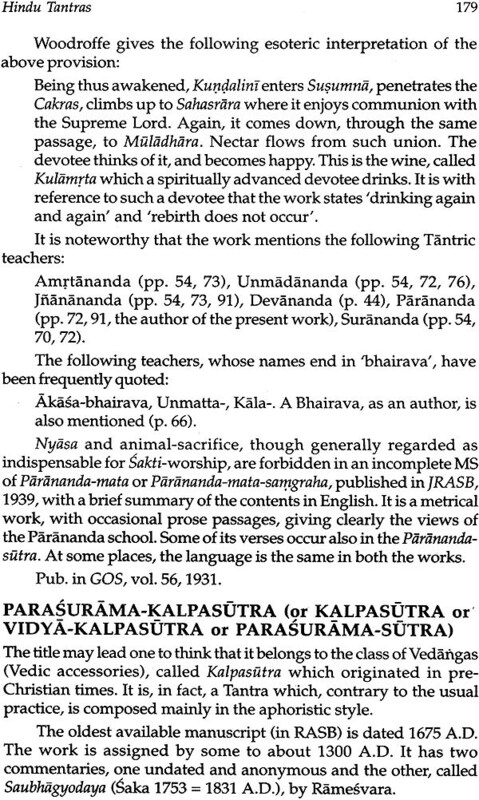 It is followed by short accounts of the important authors and works on Tantra. 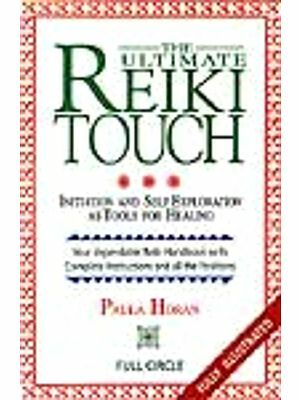 In a glossary, the difficult words and technical terms have been explained. 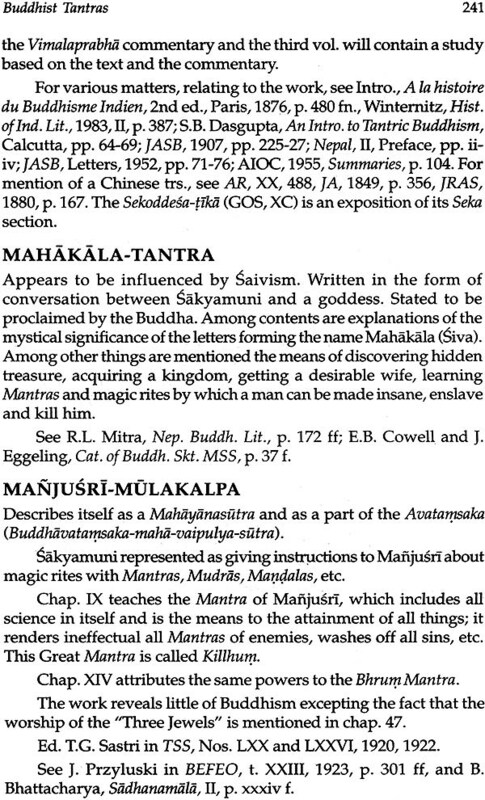 A separate glossary of scientific terms has also been added. 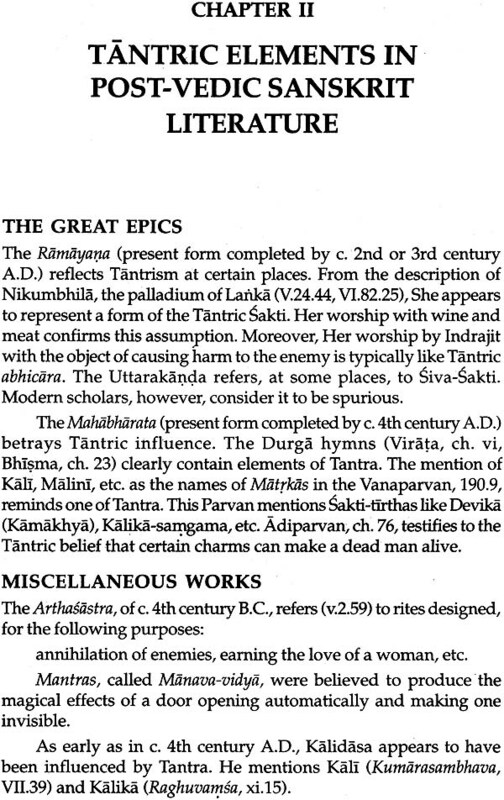 The bibliography is fairly exhaustive. 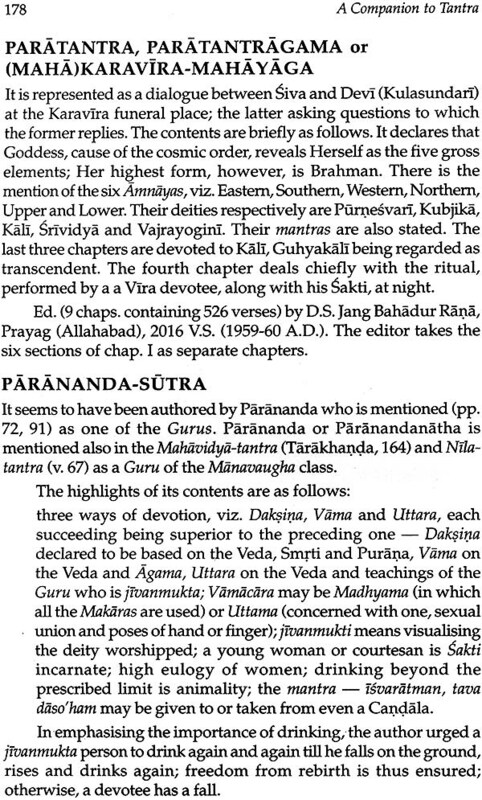 The labours of the author will be rewarded if the work goes some way in familiarizing the readers with the contents of Tantra, both Hindu and Buddhist.